​is presented by the Downtown Driggs Association, a donor supported nonprofit whose mission is to foster a thriving and vibrant downtown Driggs. ​Consider a tax free donation today! 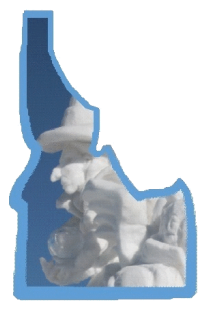 Presented by the non profit Downtown Driggs Association, the 8th Annual DRIGGS SNOWSCAPES welcomes up to ten professional and amateur teams to sculpt large blocks of snow and transform the Driggs City Plaza into a favorite winter public art display. Creativity, fun and friendly competition make this a popular free community event that celebrates our abundant local winter resources, SNOW!. ALL ARE WELCOME TO VOTE for their favorite for People's and Kid's Choice Awards all day Jan. 19th. Stay for the Snow Ball, Jan .19th 7-11pm. Official judging for cash awards takes place on Jan 19th. $1,000 for the GRAND PRIZE, $400 for 2nd, and $200 for 3rd place! VOLUNTEERS are needed for many shifts including Snow Stomping on January 11th from noon - 6pm. Sculpting days are Tuesday, Jan. 15 through Friday, Jan. 18. Final judging and Awards Saturday, Jan 19th. Awards Ceremony at 6:00pm on Jan. 19th. 8th Annual SNOW BALL 7PM on Jan 19th in the Driggs City Center. Visit the Event Calendar for more information on all the happenings!